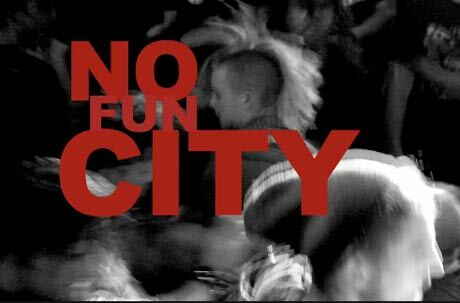 This Wednesday, September 15th, we’re kicking off our Celestial City 2010 art and culture festival here in Fredericton with a screening of No Fun City. This new documentary by Vancouver-based filmmakers Melissa James and Kate Kroll has struck a chord with people all over the world who experience and understand the issues presented in the film – i.e. the troubles faced by independent artists and venues. The film’s North American screenings are now underway and will be followed by overseas screenings next month. Doors open at 7 pm, and the event is all-ages, with a cheap cash bar for those with ID. It’s $5 at the door and the film begins at 8, with a reception to follow. Come out and help us kick Celestial City 2010 off! And, for any further edification, here is an Exclaim! article about the film.